This is the first track from the album "Tibetan Incantations" on Nascente Records. Performers are Song Huei Liou & Ya Ging Ging, music arranger Huan Tung Sun. Reciting lead by Sheng Horng & Sheng Yan. Instruments: wooden drum, flute, two-string, lute and electronic instruments. 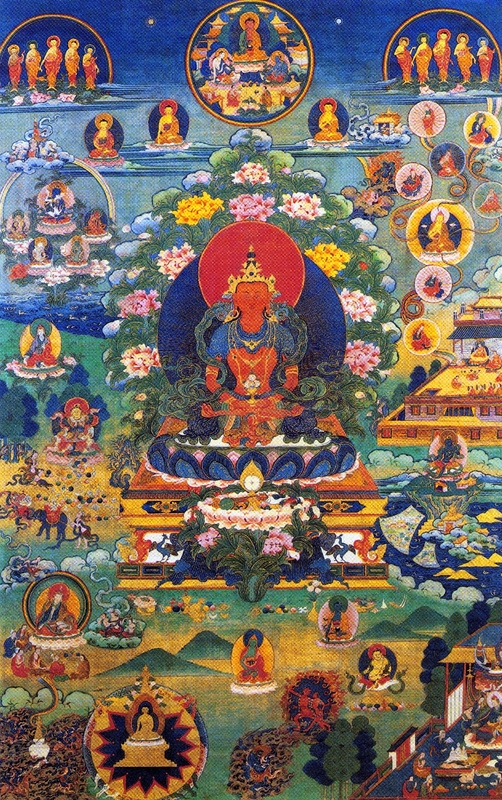 OM MANI PADME HUM is the mantra of Chenrezig/ Avalokitesvara, the Buhhda of Compassion. You might see it spelled slightly different in the different traditions but it's the same beautiful 6-Syllable Mantra that greatly aides in the development of Compassion. There are many versions and I invite you to chant along with any of them and discover for yourself!